Francesca, 18 months. 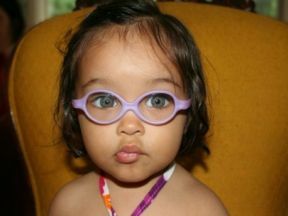 She started wearing glasses at 15 months for farsightedness, accommodative esotropia, & hyperopic astigmatism. Miraflex frames.